No, but I should have. It rotted it out. ...it's also good for those who love whimsy. There are fun surprises tucked all over the place. So cute! 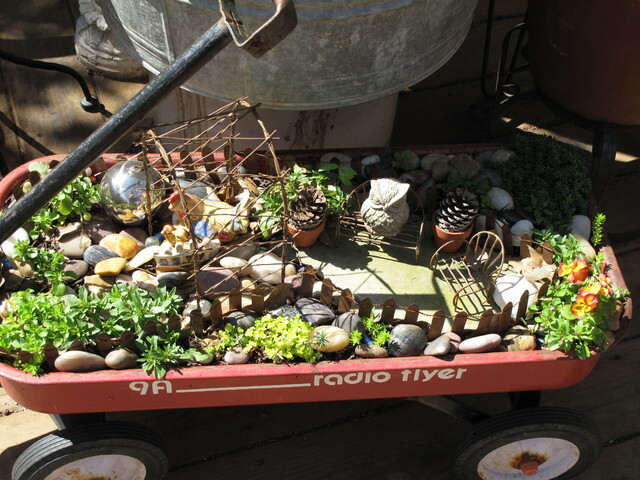 Love the idea of having the fairy garden in a wagon!